If you are applying for a Professional Visa in Ecuador, you’ll need to get an Extended Tourist Visa (12-IX) from the Ecuadorian Embassy or Consulate in your home country, before you come to Ecuador. This is a simple process that can be obtained in one day, provided you have all the right documentation translated into Spanish. One of the requirements when applying for an Extended Tourist Visa (12-IX), is to show proof of financial support for you and your family, for the full extent of the Visa term (180 days). Keep in mind that in order to support yourself, the Immigration authorities in Ecuador require you to have an income or cash flow of $800 per month, plus $100 for each dependent. This will give you a guideline of how much money you need to have when applying for a Professional Visa. To show proof of this financial requirement, you’ll need to provide a copy of your last month’s bank statement(s). Please be sure to check with the Ecuadorian Embassy in your home country, as each Consulate may have different requirements. The 180-day Extension Visa (12-IX) allows you enough time to go through the process of applying for a Professional Visa, once you arrive in Ecuador. Before you consider applying for a Professional Visa, check that your diploma is with an accredited college accepted by the Immigration authorities in Ecuador. 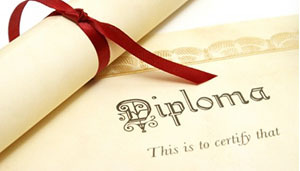 You will find the link to the list of accredited educational institutions by filling out the CLIENT PROFILE on our website contact page, or by emailing info@https://gringovisas.com and we will be happy to send you the link. If you have any other questions about applying for a Professional Visa, or any type of Visa in Ecuador, please contact me at maite@https://gringovisas.com, and I will be happy to assist you. If you’re ready to apply for your Visa, please fill out our CLIENT PROFILE on the contact page of our website or info@https://gringovisas.com. Telephone in Ecuador 098 915 3622, in the US (203) 648 4511. I am in Ecuador – Cuenca.. I have been to Quito. I decided to try for Cuenca, Professional or Retirement Visa look good. I am a solo. Six Degrees (Tech/Law). Currently do Med Research. How does one apply when in Ecuador? Although we recommend you get your Extended Tourist Visa (12-IX) in the US, you can apply for this visa while you are in Ecuador, even if you have remaining time on your tourist visa. You need to let the authorities know that you are looking to apply for a Professional Visa now, and they will process your 12-IX while you are here in Ecuador. How can I apply for PR in Ecuador? What are the documents I need to submit and let me know other formalities ? Fort he profesional visa you will need your original diploma, an school letter stating that the studies were done in person not online, the school transcripts, the pólice report and the power of attorney, all of these documents should be apostilled and legalized at the Ecuadorian Consulate if your country is not part of the Haya Convention.